A letter expressing thanks for a $15 donation. A Berry education is described as vocational and agricultural in nature. The students are encouraged to return to their communities and some continue attending college. 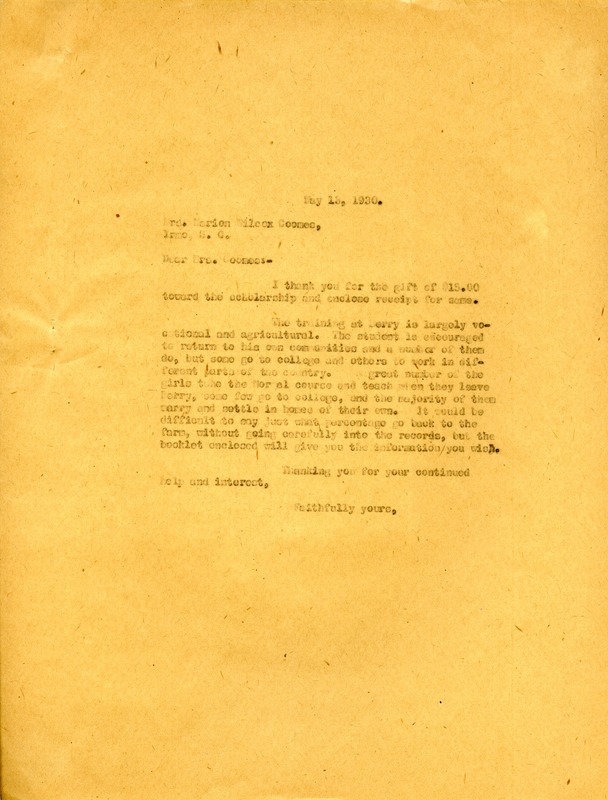 Miss Martha Berry, “A Letter to Marion Wilcox Coomes from Martha Berry.” Martha Berry Digital Archive. Eds. Schlitz, Stephanie A., et al. Mount Berry: Berry College, 2013. accessed April 22, 2019, https://mbda.berry.edu/items/show/12181.